Cap off the end of the work week with a drink in one hand and a paddle in the other at the DTLA Paddle Battle. General Assembly and WeWork are hosting this happy hour at Ping-Pong club Spin Standard. The event doubles as a welcoming party for some new arrivals to the neighborhood: Time Out LA—hey, that's us—and the aforementioned co-working space WeWork. Afterwards, get to know Pasadena's underrated collection of museums at ArtNight Pasadena. Take advantage of free shuttle buses or hoof it between site-specific installations and local institutions such as the Norton Simon Museum, Pacific Asia Museum and Pasadena Museum of California Art—all of which are free tonight. If you're looking for a late night, trek over to the Nuart Theatre for a midnight screening of Bram Stoker's Dracula. Francis Ford Coppola brings Dracula to the screen with impressive production design, campy attitude and a so-'90s cast (read: Gary Oldman, Winona Ryder, Anthony Hopkins and Keanu Reeves). 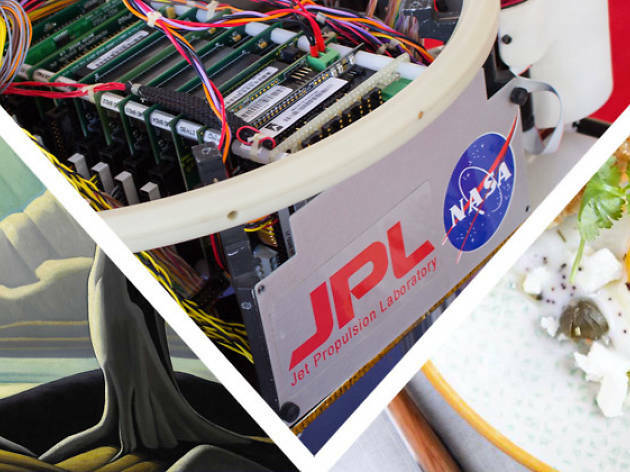 Meet some Mars-bound robots at the annual JPL Open House. 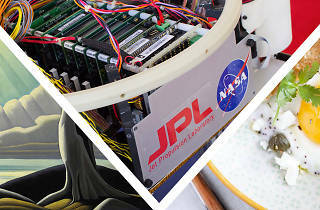 NASA's popular two-day event kicks off in Pasadena on Saturday with all sorts of tours, demos and presentations. Arrive close to the 9am opening to best avoid Disneyland-length lines in SGV-strength heat (especially since temperatures are expected to flirt with triple digits this weekend). If that all sounds overwhelming, head to Exposition Park instead for Strut Your Mutt. This annual Best Friends Animal Society fundraiser is back with a morning walk, 5K run and a canine-themed fest with pet contests, treats and fun for dogs and humans alike, all in support of shelter pets in need. Afterwards, get your food and shopping fix at the Reef during Artisanal LA. Peruse a mix of handmade kitchen wares and edible treats at this fall installation of the event. We should also mention that there are three major all-day events taking place today: Politicon, a politics-meets-comedy convention that includes a set from The Daily Show host Trevor Noah; Festival Supreme, the Tenacious D-curated music and comedy fest; and Culture Collide Festival, a music festival that spans multiple Echo Park venues. Beer for breakfast? Why not. The October installment of Bang Bang Brunch heads to the back patio at Three Weavers Brewing Co. in Inglewood today for a pairing of beer and Southern breakfast classics. Make your way to the Hammer Museum for the opening of The Idea of North: The Paintings of Lawren Harris. The first major US exhibition of works from the Canadian artist has made more headlines for its curator: Steve Martin. The iconic actor has championed the little-known (in the US, at least) painter for this show, which includes over 30 dreamy landscape paintings. Today also marks the opening of UH-OH: Frances Stark 1991-2015, a mid-career survey of the local mixed-media artist. Looking for some culture that you can pair a few drinks with? Head to the opening night of Shakespeare in the Shed. Angel City Brewery has adapted Shakespeare for a beer drinker's attention span with this free, stripped-down version of Romeo and Juliet. Close out your weekend with us atop the Montálban Theatre on Vine as we present a Rooftop Film Club screening of Sunset Boulevard. Though a significant film for its cameos and exploration of the film industry's obsession with former glory, we happen to love it for its vintage shots of Hollywood.